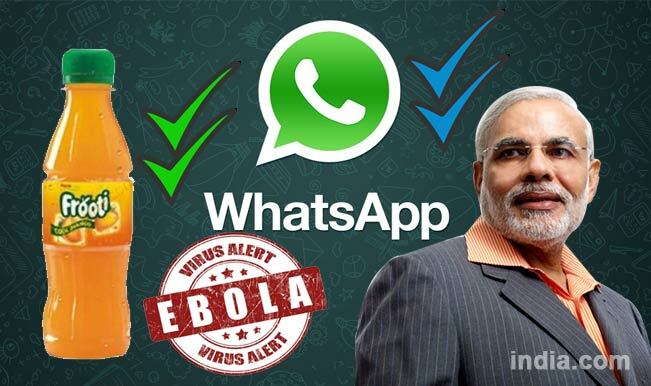 Best WhatsApp Hoax messages: 5 new irritating WhatsApp Forwards that would make you block your friends! So next time you come across any such message, stop it right there and ask the sender of its credibility. 1. Delhi Police issues a fatwa against drinking Frooti! Are you kidding me? 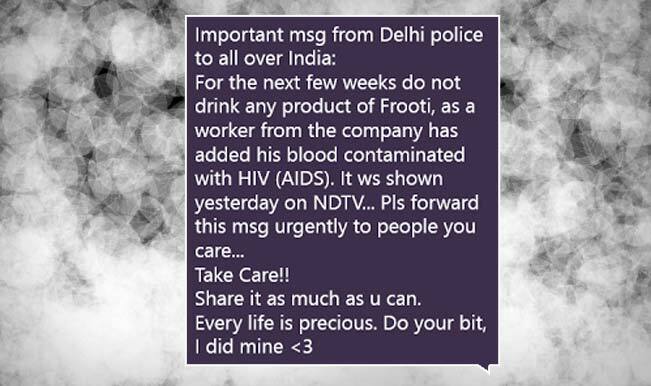 WhatsApp message reads: Important message from Delhi Police all over India: For the next few weeks do not drink any product of Frooti, as a worker from the company has added his blood contaminated with HIV (AIDS). It was shown yesterday on NDTV. Please forward this message urgently to people you care. Take Care.. Share it as much as you can. Every life is precious. Do your bit, I did mine. 2. WhatsApp to go green? OMG! WhatsApp message reads: This is the last message from WhatsApp. Kindly send this to 20 people to register yourself in free-WhatsApp mode. 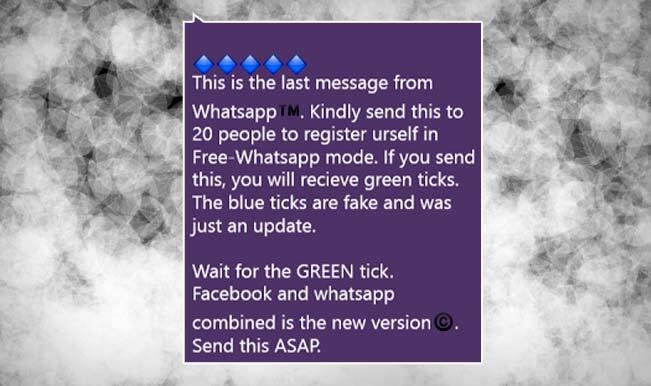 If you send this, you will receive green ticks. The blue ticks are fake and was just and update. Wait for the green tick. Facebook and WhatsApp combined is the new version. Send this ASAP. 3. Narendra Modi urges to avoid using Internet. Oh really? 4. 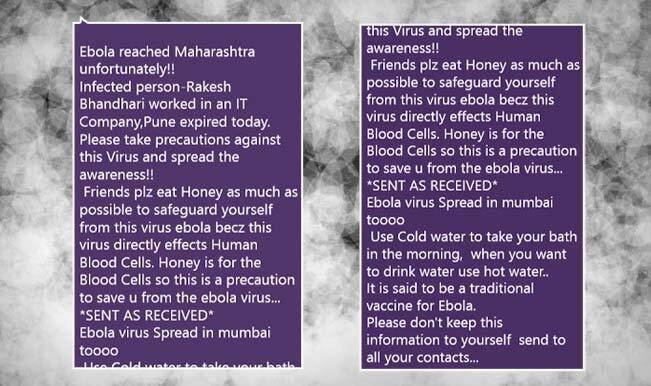 Ebola reaches Maharashtra. RUN RUN RUN! 5. WhatsApp again! An update was circulated as an hoax, yet again! 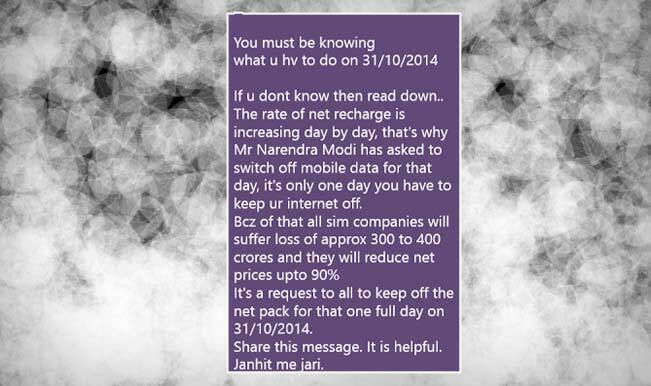 Message reads: From Saturday morning WhatsApp will become chargeable. If you have at least 10 contacts, send them this message. In this way we will see that you are an avid user and your logo will become blue and will remain free. As discussed in the paper today, WhatsApp will cost Euro 0.01 per message. Send this message to 10 people. 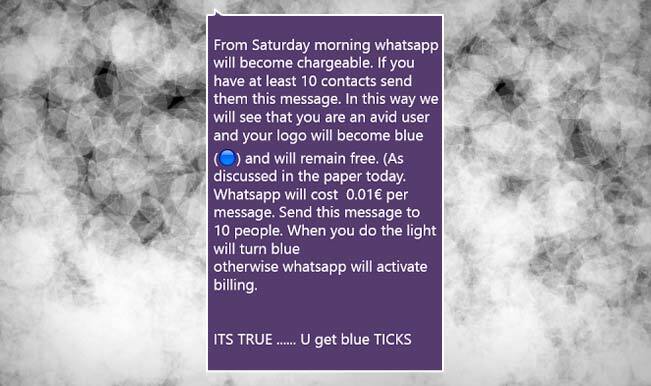 When you do, the light will turn blue otherwise WhatsApp will activate billing… Its True… You get blue ticks!